A deposit of £60 for any breakages is payable prior to booking. If the inventory list remains intact then a full refund will be given. 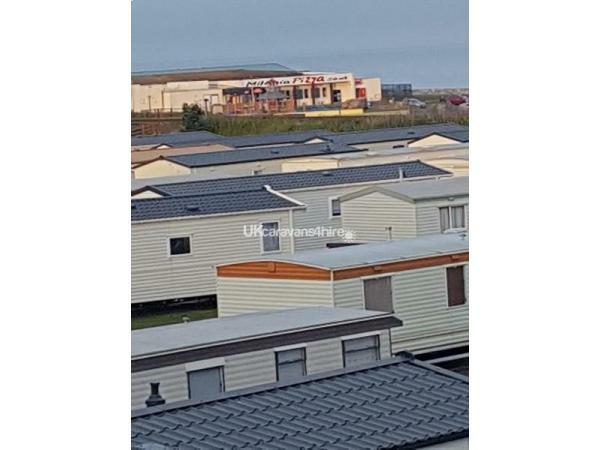 The caravan is based at the quiet end of the site, a five minute walk to reception and entertainment complex. The van sleeps 6 comfortably with the double room being en suite, twin bedroom and a pull down bed in the lounge area. on the day of your arrival. There are also soft drinks and bottled water provided for your refreshment. Other complimentary items also are available within our starter pack to get your holiday off to a great start. The 32 inch TV/DVD combined offers plenty of titles for all ages so snuggle up at night to watch your favourite film. Many board games are also provided to help keep you entertained if the weather turns no very nice or you just fancy a day/night in the van. A radio/CD player is also provided for your enjoyment, together with several CD's. Or, if you just fancy some quiet time, put your feet up and read one of our many books at your disposal. PlayStation 2 with several games for those occasional rainy days. The site has a keenly priced shop, bar and entertainment complex which is particularly busy during the high season. They do a bingo session on Saturday nights as the season goes on finishing off with some entertainment. A swimming pool, sauna and jacuzzi are also on-site for which there is a small charge. And there is also a fitness room, games room and large soft-play area for our younger guests. 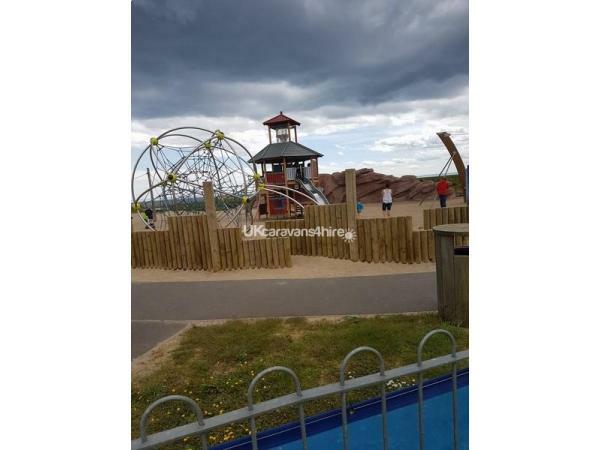 Across the road from the site are a host of attractions including; large leisure play area for kids, trampolines, crazy golf, miniature railway which gives you a tour of Arbroath, cinema and go-karts. A few minutes walk towards the town centre you will find Arbroath's famous indoor fair, Pleasureland. If you wish to go sightseeing, for a game of golf or visit many of the attractions in the surrounding area you will not have too far to travel and your van will be a home for home for you at the end of a long and busy day. Prices frozen from last year. Discount for two or three week stays. We got a great welcome from Stewart and Fiona.The caravan was spotless when we arrived.We got a welcome pack so we did not have to go shopping straight away.We were at the swimming pool which was great for my granddaughter she thorough ly enjoyed herself.Hopefully we will?l be able to book again soon. Loved our week in 302 kids had a ball.Everything was thought of for us and the games and dvds provided were well used in our week. Van was spotless and we wouldn't hesitate to book up again and recommend to family or friends. Such a nice welcome from Stewart and Fiona too. Many thanks ?? Many thanks to Stewart and Fiona for making us feel welcome upon arrival. Also the arrival pack was great and meant we didn't need to rush to the supermarket ! The caravan was spotless and had everything you need for all weathers. Made good use of the games, books and dvds on the couple of nights it rained ! Also the chairs for outside came in handy too. The caravan is situated in a quiet spot which allowed the kids to go out and play on their scooters. There was bingo and live acts on at the entertainment complex. Also a wee park on site too. Plenty to do in Arbroath and surrounding areas. We all had a great holiday and hope to return in the future.